Dimensions 0.75 by 5.75 by 6.50 in. 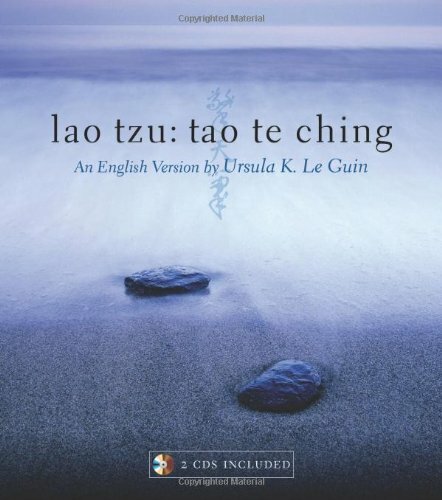 Amazon.com description: Product Description: Ursula K. Le Guin, a student of the Tao Te Ching for more than fifty years, offers her own thoughtful rendering of the Taoist scripture. She has consulted the literal translations and worked with the scholar J. P. Seaton to develop a version that lets the ancient text speak in a fresh way to modern people, while remaining faithful to the original Chinese. This rendition reveals the Tao Te Chingâs immediate relevance and power, its depth and refreshing humor, illustrating better than ever before why it has been so loved for more than 2,500 years. Included are Le Guinâs own personal commentary and notes along with two audio CDs of the text read by the author, with original music composed and performed by Todd Barton.